Fresno, California is located within the beltway of latitudes spanning the United States that are in a transitional zone for lawn grass species. In this area, both warm and cool season grasses can thrive, depending on local environmental conditions. Warm season grasses typically grow in southern regions, with peak growth occurring mid-summer, and periods of dormancy occurring during the winter months. Cool season grasses typically grow year-round and are found in northern parts of the United States. 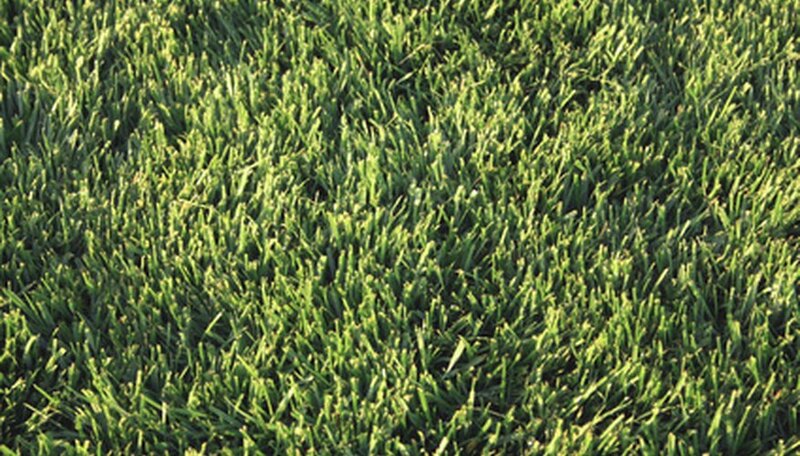 Kentucky bluegrass is a popular cool season grass that produces a thick, dark green turf grass. This lawn grass requires direct sunlight, frequent mowing, regular watering and annual fertilization for best results. Kentucky 31 is a specific variety of bluegrass that is best adapted to Fresno's hot climate, due to its increased tolerance to heat and drought. Zoysia grass is a warm season grass native to China and grown throughout the southern United States. This grass can grow in partial shade and has better cold temperature tolerance than other warm season grasses. Zoysia grass is slow growing, tolerant of foot traffic, and requires regular watering, fertilizing and mowing. Tall fescue is a cool season grass that does well in transitional climates such as Fresno. This grass provides a dense, green mat and is adaptable to a wide range of local conditions, including partial sunlight, drought and lawns with lots of pedestrian foot traffic. Tall fescue remains green for most of the year, with periods of rapid growth occurring during the spring and fall. Ryegrass is a fast-growing cool season grass that is successfully grown in transitional and warm climates. In southern states, ryegrass is mixed with the primary warm season grass to provide temporary grass coverage during the winter months. Ryegrass' quick growth requires lots of maintenance that includes regular mowing, watering, aerating and fertilizing.